Greetings, dear readers! I hope this post finds you well! 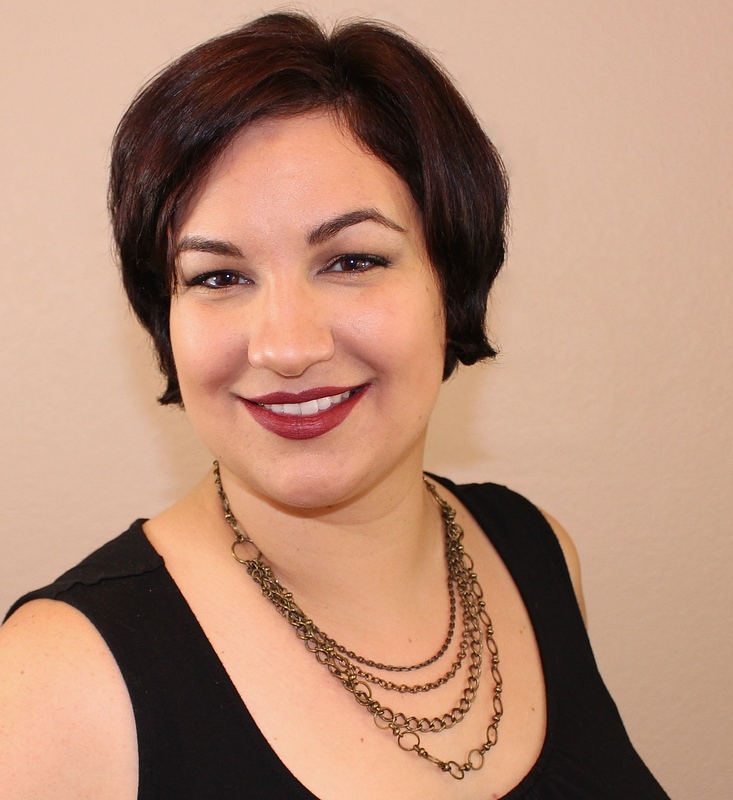 I'm a little busy tying up a few loose ends before I head out to Las Vegas for Cosmoprof North America yet again so I'm going to jump right on in on today's post. Zoya is known and loved for the brand's nail polish collections, but they've been rounding out their beauty products by adding in lipsticks. In addition to the Wanderlust nail polish collection that launched this summer, Zoya has introduced three new lipsticks to the brand line up. Each of these shades are pretty and feminine, and if you prefer your lipsticks to look soft and natural, these may be for you. Let's check them out! While all three shades are in the pink family, they each offer something a little different to appeal to a wider audience. Kay is a lighter and more natural looking shade while Kirby adds a brighter, but still not too bright, pop of pink on your pout. Kitty is more mauve and shimmery than the other shades. While arm swatches are great and helpful in comparing colours to each other, let's check them out on the lips so you can see what they look like while on the lips. Kay is described as a creamy sheer red. While I do agree that the formula is ultra creamy and quite sheer, it's more of a medium pink shade along the lines of phlox flowers. That being said, because the colour is so sheer, Kay only imparts the slightest kiss of colour on your lips. It's a great shade for when you're going for a "you but better" natural makeup look with shine on your lips. As for the lipstick bullet itself, it is very soft, so you will need to take care during application, especially with the weather so warm for a lot of us right now. My bullet actually broke with the first application, and I think this may be best applied with a lipstick brush to prevent breakage rather than applying pressure of the bullet on the lips. Kitty is describes as a neutral shimmering pink in a hydrating cream formula. While photos across monitors can vary, I found the stock photo of Kitty on the Zoya website to be very misleading. It is much darker than I expected it to be and is far more mauve than I anticipated. 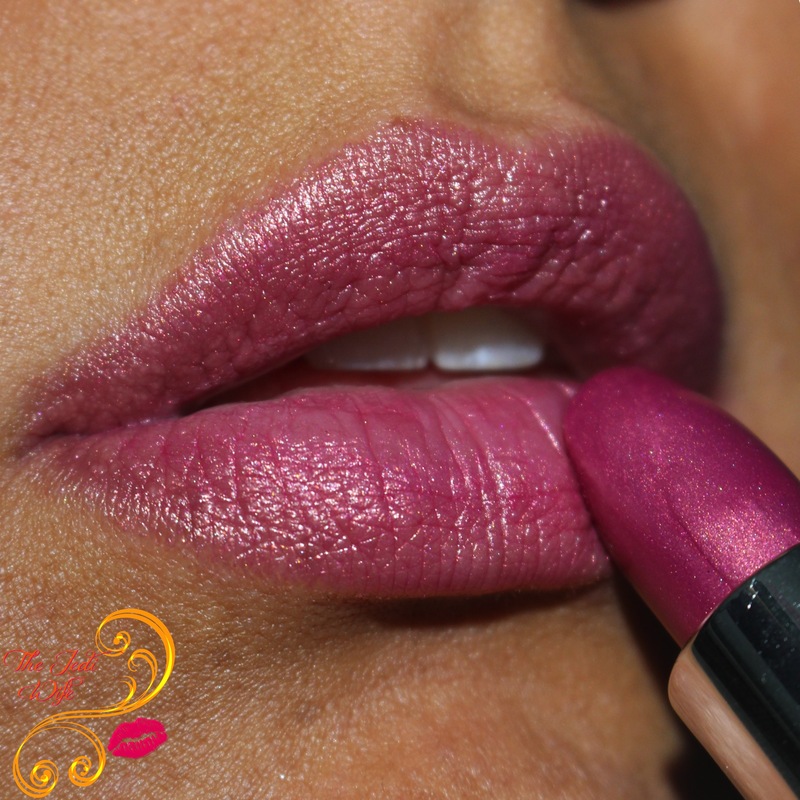 More densely pigmented than Kay, Kitty is shimmery and gives your lips a foiled look. It may actually be my favorite of this trio, an interesting fact since I tend to not care for mauve lipsticks. 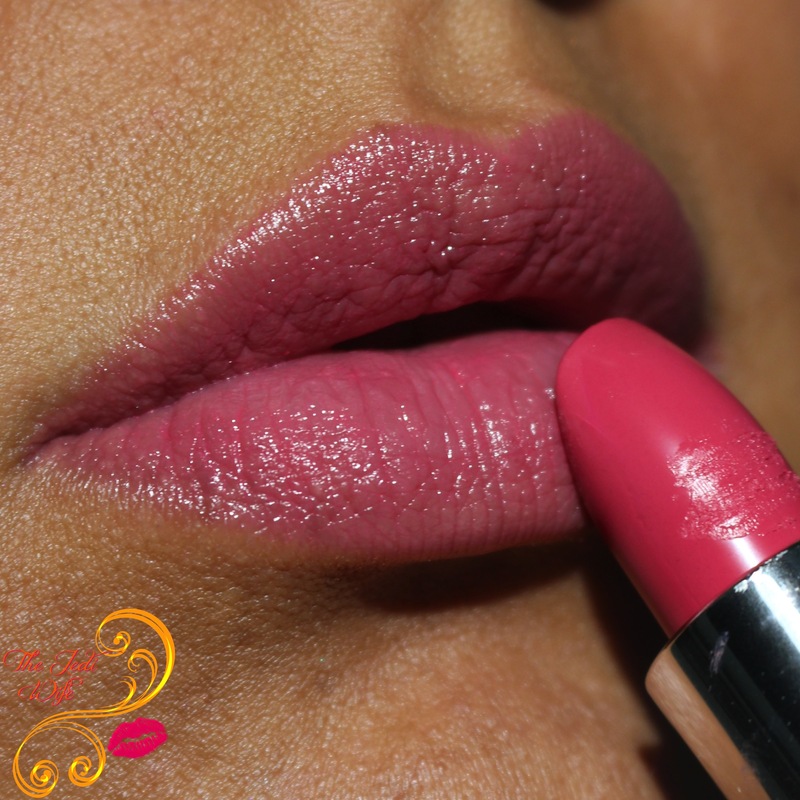 The lipstick is so creamy and applies very easily to the lips. The bullet is not quite as soft as that of Kay and I had no issues with it breaking with application directly onto my lips. 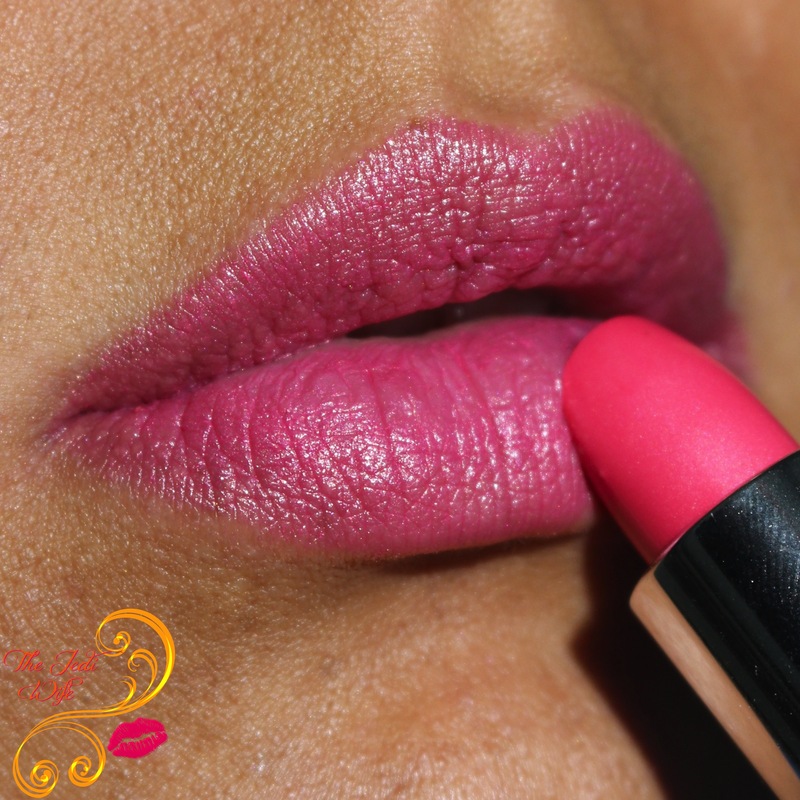 If you prefer your lipsticks to be a simple pink, Kirby may be what you're looking for. It is described as a bright sheer watermelon pink in a hydrating cream formula. Even though Zoya refers to it as a watermelon pink, it is missing the kiss of coral I think of when I think of watermelon and find it to be more, well, Barbie pink. The lipstick bullet is firmer than the other two shades in this collection, but it is still really smooth and easy to apply. I tend to shy away from pinks like this on my lips, but it is sheer enough that is is still very wearable and just pretty to look at. I was a little unsure of these colours based on the descriptions as I tend to no wear pink hues on my lips, but I quite like these! They all are relatively sheer, with Kay being the sheerest shade, and add the lightest touch of colour to your lips. Obviously you can add more layers if you prefer something darker, but these shades are not designed for intense lip looks. I found all the lipsticks to be creamy and easy to apply to the lips and so comfortable to wear. They are regular lipsticks so you will need to touch up every few hours or after eating and drinking, but they are a lovely option to add to your makeup collection. 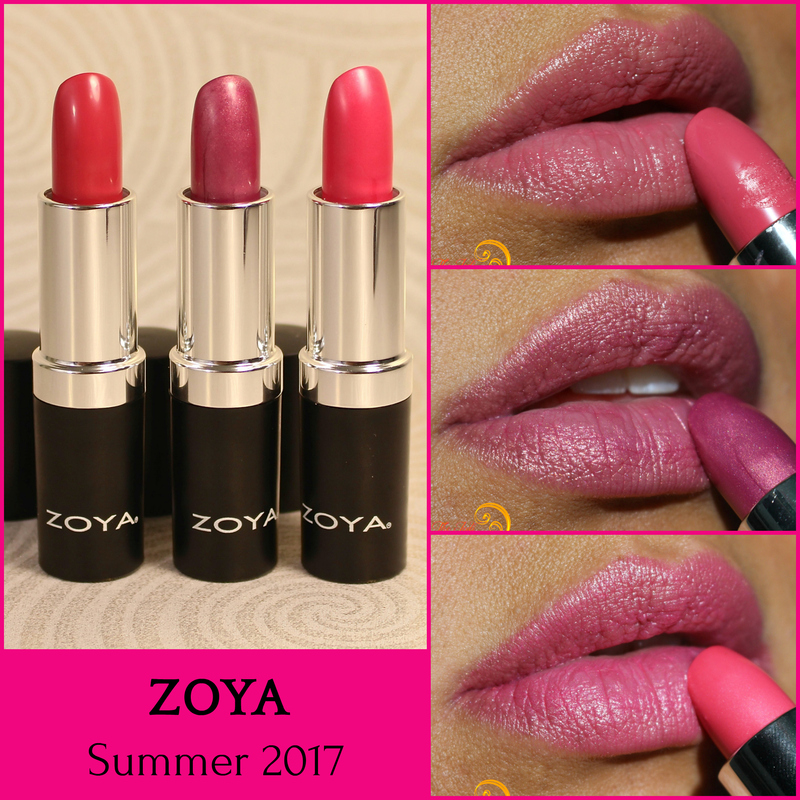 These lipsticks are available for purchase NOW at zoya.com! 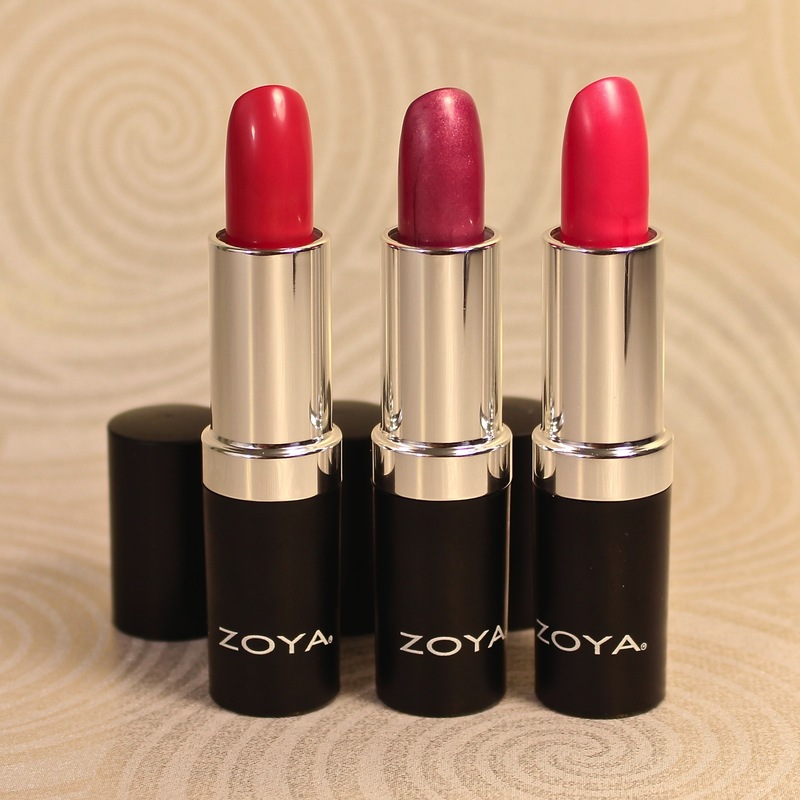 Have you tried these or other lipstick shades from Zoya? Which ones are your favorites? Is there a colour you're hoping to see them release in the future? I'd love to hear from you! Kitty is my favorite from these!! I am really loving Kay on you though. Thank you! It's a great neutral shade! I love all of these but I am partial to Kay! I wish I was seeing you this year at cosmoprof - have a great time!!! My favorite changes every day! Haha! Kitty was my favorite from this release. I felt like the others didn't look as close to their bullet when applied. I do agree, the bullet colours are quite different than the way they look when applied to the lips. I actually love how light and sheer these are! So perfect for summer! Me too! Some days I want just a hint of colour! Kirby looks like a carnation pink to me. These are great - I love that they are like a sheer tint of pink on your lips. I don't wear lipstick, but love these colors. Your lip swatches are to die for! Thank you! Some days I like my lipsticks sheer so I'm happy to see these colours join the Zoya lineup! You've got beautiful lips. I wear a lighter lipstick than these most of the time but they are tempting. Thank you! They are quite light so you may still like them! These are such pretty summer lippie colours. It's a pretty shimmery hue! I love sheer lipsticks! Hope you have fun at Cosmoprof and I can't wait to hear your news! I love all lipsticks from sheer to opaque, and I really enjoy having these in my collection! Kitty is my favorite on you! Naomi wore Kirby on Saturday and loved it.